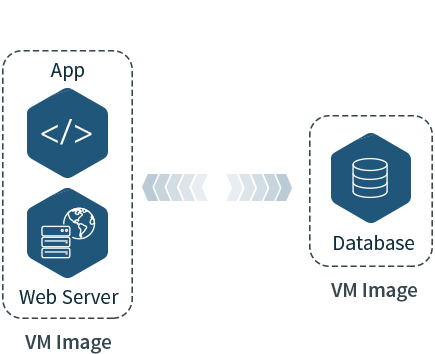 Bitnami Single Tier application images are great for departmental applications, smaller production environments, new users, or those applications that don't support multi-tier or RDS architectures. 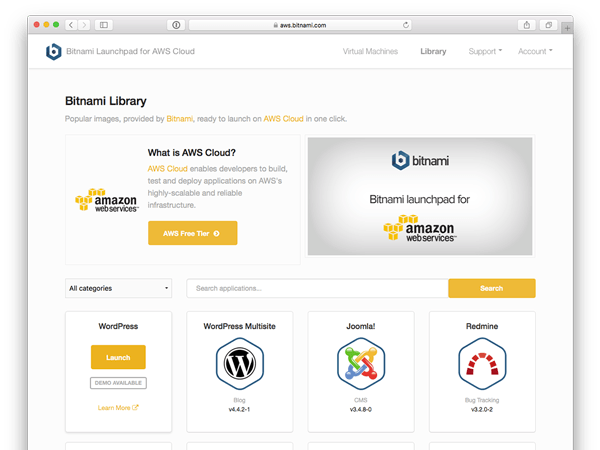 Launch a Single Tier VM from the Bitnami Launchpad for AWS. Bitnami Multi Tier applications for AWS use Amazon Cloud Formation Templates to provide more sophisticated deployment topologies for improved scalability and reliability for larger production or mission critical environments. The simplest type (show in the diagram above) deploys the database in a separate virtual machine from the application, but Bitnami also supports clustered applications and master/worker topologies as well. 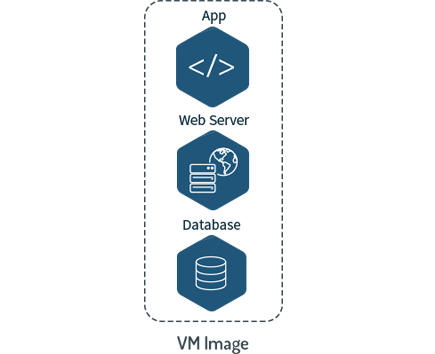 Want to use Amazon Relational Database Services with your application? 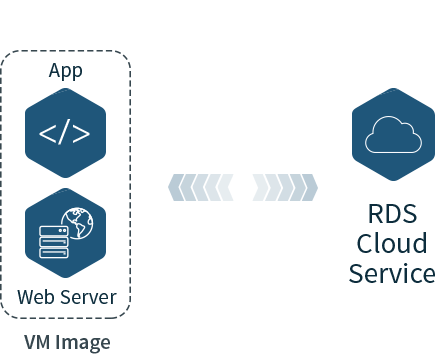 Bitnami Multi-tier applications with RDS provide pre-built integrations to AWS RDS, saving you the time and effort of figuring out to integrate database services with your application. Simply use the Bitnami-created Cloud Formation Template for the RDS version of your application and you'll be up and running in the shortest time possible. Bitnami packages the most popular open source apps and development environments - 130+ and growing. Bitnami monitors all of the apps and components it packages and releases updates once they become available. 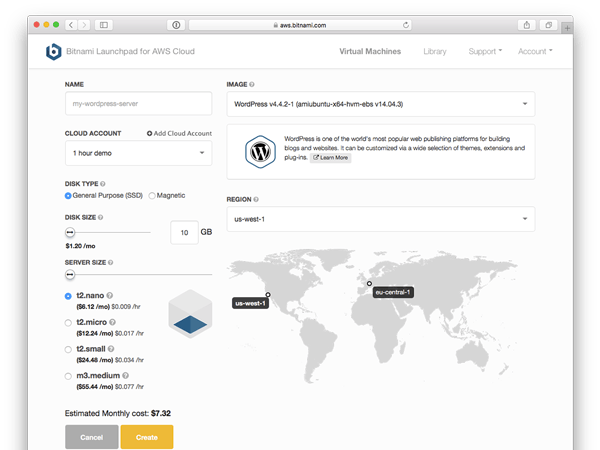 Bitnami cloud images are fully integrated and configured and ready-to-run. After clicking the "launch" button, you'll be up and running in minutes. Bitnami cloud images are made available at no additional cost. In other words, you only pay for the Amazon Web Services resources that you use to run the apps. All apps and dev environments are packaged and configured consistently across operating systems and deployment platforms. 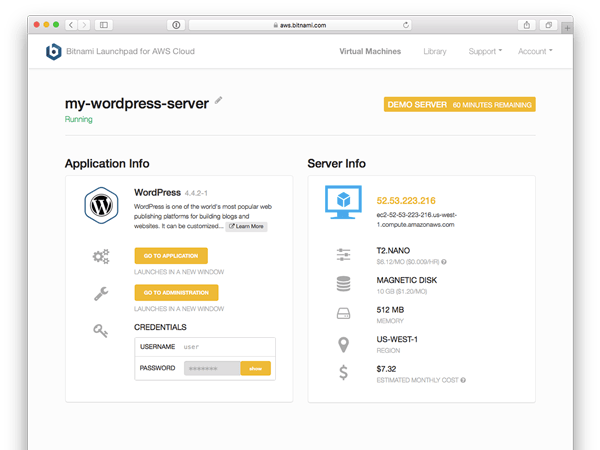 The Bitnami Launchpad for Amazon Web Services can launch apps for public-facing, Internet-accessible use or internal, private network use. For more information on how Bitnami works, please visit the About Bitnami page. 3. You're up and running!